The Lion’s process for Christian pioneers and entrepreneurs, provides a place to dream and a time to prepare, connecting you to passionate Kingdom-minded people and helping you lay firm foundations for the challenges ahead. Maybe you’re someone who dreams of one day pioneering a church, starting a business or launching a new social enterprise, but have as yet not found the people or the environment in which to realise those dreams – if so, maybe The Lions is the kind of opportunity you have been looking for. The Lions Experience brings together a number of significant people working at the top of their field, individuals who understand the need to share experience with people worth investing in. Drawn from every sphere of influence including church, commerce and community, Lions are Christian men and women impacting society who are ready to pass on their expertise to others. We are searching for 16 dedicated delegates to join us for six weekends away at The Belfry Hotel in Birmingham. Besides being an opportunity to connect with like-minded people over coffee and around a meal table, each delegate will experience an interactive learning environment that is more living room than classroom in style. By means of Case Studies, Workshops; Interviews, Discussions, Q & A, Site Visits, Team Building and Reading Assignments, The Lions and their special guests will create an interactive learning environment that will become a fundamental characteristic of the whole Lions experience. All of which will make each weekend an invaluable part of this unique personal development programme. All weekends will train and mentor you to the big finale ‘The Lions Lair’. This is your opportunity to present your finely tuned idea, project or business to The Lions in a 20 minute presentation and convince us to give you seed funding and another year of mentoring. In order to prepare for The Lions Lair we will help you create a business plan, teach you how to structure your presentation and give you have a clear understanding of how your idea can positively grow God’s Kingdom. Applications for 2019/20 are now open and we encourage you to complete an application form as soon as possible. No further applications will be taken once the course has been filled – so avoid disappointment and apply now. Lions Associates are previous Lions delegates who have excelled and achieved success with their projects nationally and internationally. Their wealth of experience of being on the Lions as delegates is a great asset to our training weekends as they bring their expert advice and direction to the team. The Lions process surpassed my expectations, sharpened my vision and continues to help me dream dreams that are way bigger than me. It has also added to my whole life, a depth of maturity, a level of confidence and a wealth of knowledge that are simply not quantifiable. I'm forever grateful to be one of the #PrideOf2015. I had been asking myself, what success at the lions looks like, and what I was hoping to get out of it; then it just dawned on me that I HAVE had a success for being part of the Lions, I have grown in faith, I have learned how to spot opportunity and listen to God, and now I find myself finally with a clear direction, a clear pathway, a clear vision... The Lions process has been FANTASTIC for me, and I cannot truly express how happy and settled I find myself because of it. The Lions process really helped me to be amongst like-minded ‘Kingdom crazy’ people who had similar ideas that the world would see as ‘off the wall’. As a result nothing was off the table and all we ever received was encouragement and support from the Lions and other candidates to hone, perfect and cultivate our ideas. Some advice I would offer to prospective candidates … only come on this course if you are prepared to be changed and challenged, to really learn about yourself and what drives you and others! I would suggest its not for the feint hearted, the shrinking violets or the double-minded – it’s for those people who want to see the Kingdom grow and hunger for a way to bring into reality the dreams God has given them. Through the Lion's.... I've learnt so much, it's hard to put into words. The knowledge I've grown, the truths I've heard I guess above all else I can say, I know more than ever, the role I should play. I've learnt that my dreams are not just a joke that they're given from God, to bring others hope. I've learnt in my know-er, to trust what it is Cos it probably means it's not my thought, it's His. I've learnt that He calls us to use our gifts As part of His plans to give and heal rifts As a person, as me, I've learnt more to be To grow what He shows and know it's His own. To trust with my all and keep standing tall. And even to share, despite being scared! 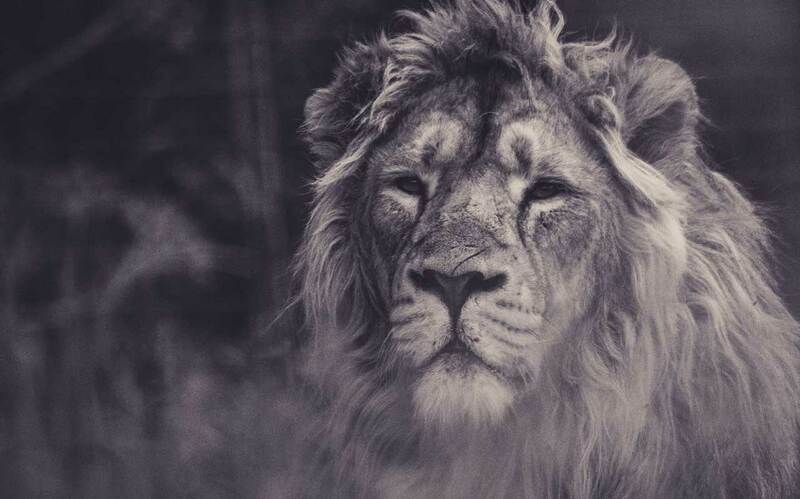 Through the Lion's, I have, without doubt learnt so much more what's inside me, dreams left untouched. Through the Lion's - who certainly know how to roar I've learnt my roar, just that Little bit more! The Lions Experience is a great time to explore ideas and dreams. It pushes you to think exactly what direction you are going in and what the outcome could be like. All of the people involved with the Lions are there to help you succeed and give a lot to help you to get there. The teaching is amazing and really helps you to look at your project from a perspective that you wouldn't have already looked from. I found that the other delegates really helped make the whole experience even better and have made loads of new amazing friends. If you have an idea to change the world, take it to the Lions and they will refine it (and you) so that whatever it is you do, you do it dynamically and to its full potential. It was a great privilege to be around such successful people, who saw potential in me and invested their time into helping me to pursue my purpose in life. God reminds me of these people when I'm feeling like this is too much for one person and that is a great comfort. Every weekend held something new and I was always challenged by the content. It's not for ordinary people, they don't fit in. It's for people who are restless to solve problems and make an impact for the kingdom. @TheLionsUK Fantastic event - it just gets better every year !